Nail extensions are artificial nails created by using a tip (nail product to extend the nail past the edge of the natural nail) or modeling templates. With both techniques, the building material is a curable gel that covers the tip or modeling template. 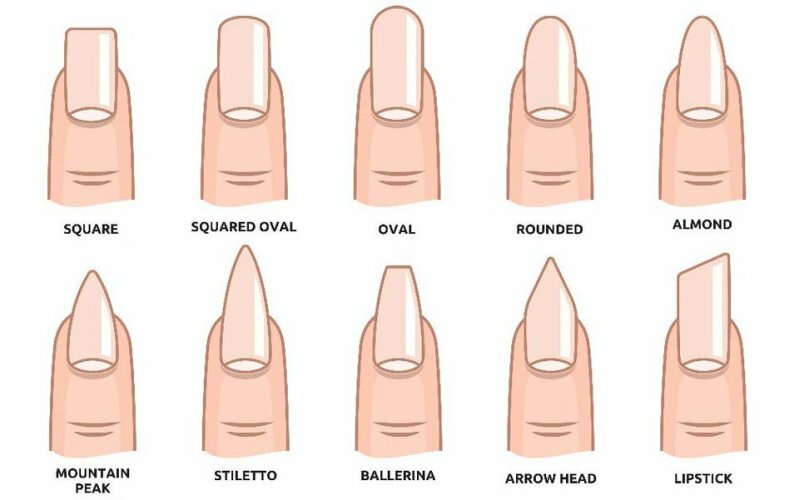 The nail buildup consists of different layers. Firstly, a primer (causes gel layer adherence) is applied that settles over the natural nail and does not infiltrate into the skin. Hereon follow one or more gel layers. Finally, a top coat is applied that does not only protect the nail and ensures durability but also grants a nice finish. At My Nice Nails GmbH, the gel is cured with LED lamps, the newest generation of curing lamps. The resulting nails (gel nails) are more robust and solid. Furthermore, they can be modeled in any form (spiky, oval to round, square or rounded down). Nail extension is applied not only with sane nails but also with broken or "bitten" nails (nail bed lying deeply in the skin) and therefore serves as repair of these damaged nails. With nail enhancement, the natural nail is covered with curable gel without changing the nail´s form or length. Thereby reached protection layer (gel nail) can prevent fragile nails. Refilling means maintenance and conservation of the nail extension or nail enhancement. Through periodic refilling (ideally once a month depending on the nails` growth) the aesthetics of the gel nails are maintained in perfect shape. Gel polish (often called gel lac) combines the advantages of gel and nail polish. On the one hand, it is durable as gel. On the other hand, it is applied as easy and quick as normal nail polish and, using a special remover, it is also removable. Through thin application, the nails appear entirely natural. Nail art encompasses techniques or means with the result of nail embellishment. Nail art (artistic work on the nail) is so to speak the supreme discipline in nail design. Unique and individual designs can be created, especially for events. Visit us in our Nail Studio and assure yourself of our enormous variety and creativity. Manicure is beauty care of hand nails since, without doubt, a well-kept hand is of importance as first appearance and is perceived in a positive way from any counterpart. The classic manicure includes a hand bath in warm soap water, nail cutting (if necessary), nail filing, removing of dead cuticle, polishing and/or lacquing, and hand cream application. The results are clean and glossy nails as well as soft cuticle. Often, the treatment is expanded by a massage and/or a paraffin bath. Pedicure is a foot care. A sound foot care assists the supply of the tissue with nutrients and accelerates the blood circulation. The classic pedicure resembles the classic manicure. It includes immersing of the feet in a bath, removal of cornea, and nail care (shaping, cuticle removal). An intensive massage strengthens hands and fingers (feet and toes respectively). It allows hands or feet to regenerate and may facilitates the blood circulation of such. Also, a hand massage cares the skin and loosens the muscles. The result of this stimulation is general well-being (stress reduction) and a relaxed mind. A paraffin bath is pure wellness for stressed hands and feet (dry, brittle, swollen, calluses, etc.). Thereby, hands or feet are immersed in odoriferous paraffin that has been liquefied by heating. This process is repeated several times until the hands or feet are completely covered with multiple layers of paraffin. The paraffin feels like candle wax and hardens when cooling down in air. Through the warm paraffin, it comes to an occlusive effect (trapped heat) so that the pores open and the substances are better absorbed by the skin. The achieved effect resembles that of taking a sauna. The humidity remains in the skin so that dry and brittle skin is awoken to new life. The results of this application are marvelously silky-tight hands with tender and smooth skin. The skin is visibly regenerated and relaxed. Alongside, the nail bed as well as the nails are maintained in parallel. The paraffin bath often complements a manicure or pedicure. Like the face, hands convey a first impression of a person. Varnished nails make a woman look well-groomed and fashionable. They serve as accessory and convey or awake emotions. Endless colors or effects exist so that for any dress or event something suitable can be found. With a peeling, a cosmetic treatment is performed during which the superficial skin layers are removed. This is reached by massaging in of a type of lotion which contains a peeling agent. The result is a tender and well-groomed seeming skin. Through application of a mask, the skin is calmed and provided with humidity. Through regular use of a mask, stressed, dry and cracked skin is becoming exceptionally soft. Masks serve the intensive skin care. Alongside, the especially rich care can contribute to replenish the moisture depot in the skin and therefore may prevent ageing in the long-run.